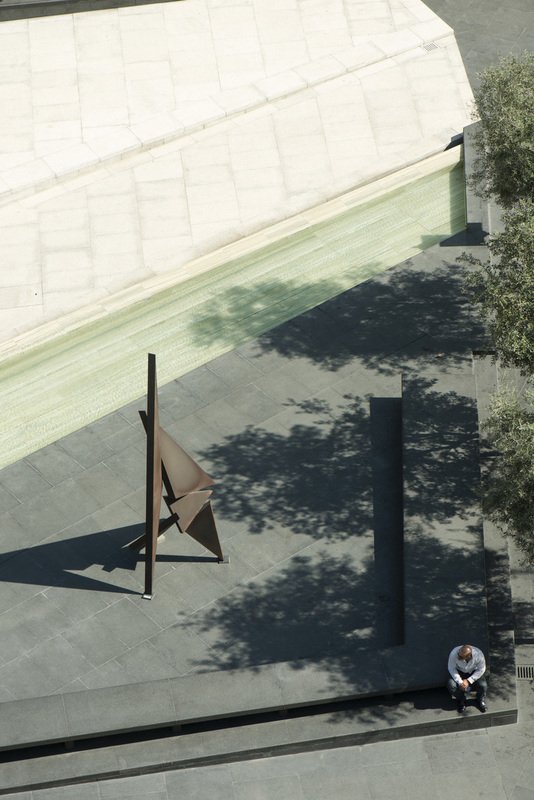 Situated at the western end of Shoreline Walk, Zeytouneh Square celebrates modern Beirut. Gustafson Porter + Bowman’s design uses the land’s existing topography to create an informal amphitheatre that is ideal for hosting events. The choice of bold, geometric paving marks the changes in the contours of the landscape and references the black and white patterning found in traditional Lebanese architecture. 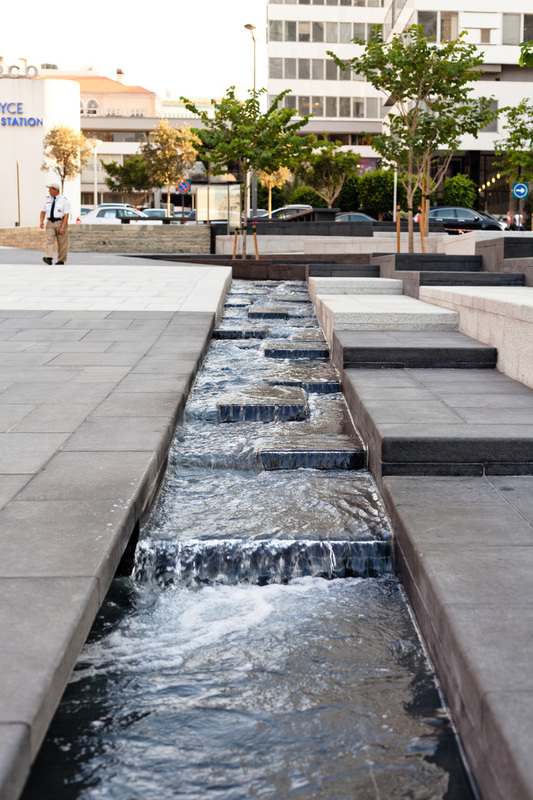 Specially-designed benches are placed in shaded locations under Bauhinia trees, and water channels and fountains offer the cooling sound of running water. At the base of the trees a calm pool gently flows towards the north edge, with water spilling over in a long cascade and signalling the entrance to the square. A wide stone bridge crosses the lower pool and leads towards the black and white terraces which step up the slope, extruding from the ground plane like rock strata. 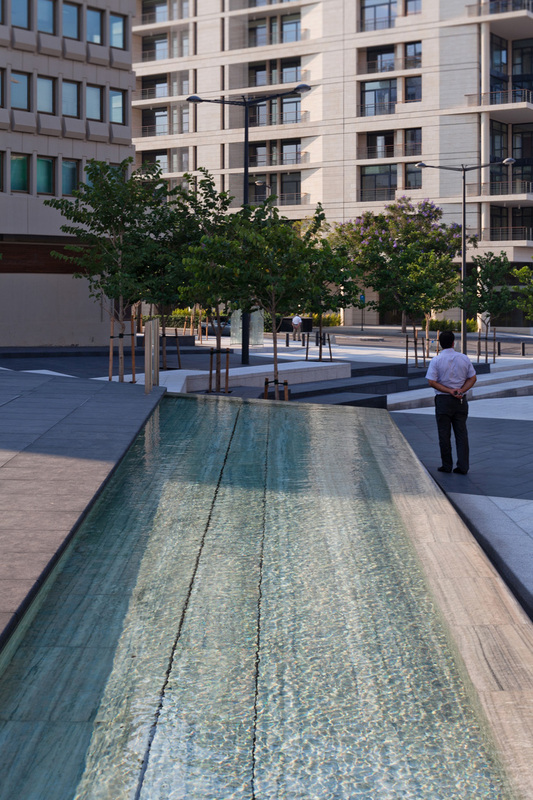 Each terrace provides a platform of open space for activities such as markets and concerts. A subtle ramp rises through the terraces and distorts the perspective and perceived size of the square. The sound and view of the top cascade entices visitors to progress along the path. From the top cascade a water rill tumbles along the edge of the path, down to the bridge and the lower pool, which features a series of water jets. By the rill, three sets of oversized steps provide seating allowing views back across the terraces, under the spreading shade of Silk trees (Albizia julibrissim). 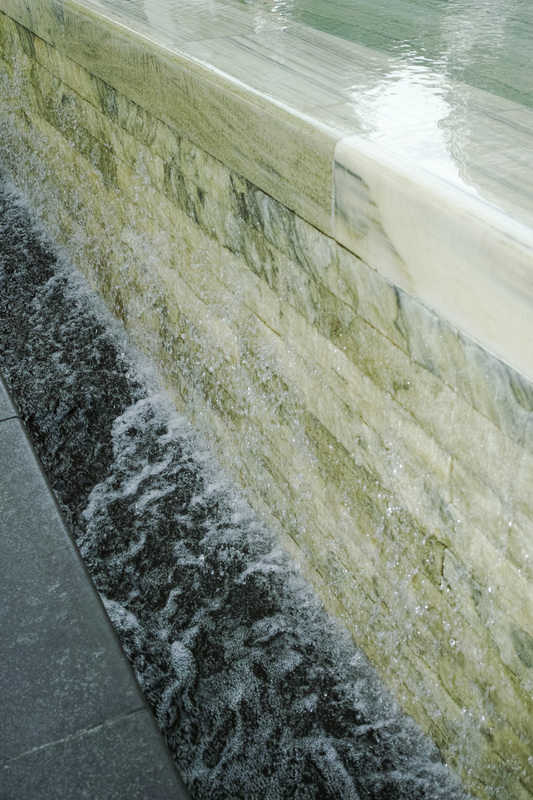 The lower step drops down to the water rill, where visitors can sit and listen to the tumbling sound of the water.